UK Lyme Disease Protest Video! 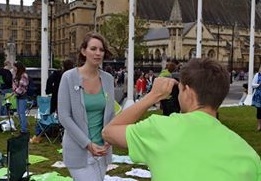 LDUK group member Rollo Skinner has created this very powerful and moving film after interviewing many Lyme disease sufferers who attended the 2016 protest in London. Against the dramatic backdrop of Westminster, this video documents the plight of Lyme disease sufferers in this country. Thank you Rollo for helping to tell our story and for creating such an excellent video which will undoubtedly help to raise awareness and push for change in the way that Lyme disease is addressed in this country. Thank you to all the brave Lyme patients who took part in this project, shared their stories and spoke out about this very important issue. Please share widely!